Foundation services – services to reach and understand the specific needs of those experiencing loneliness. Direct interventions – a menu of services that directly improve the number or quality of relationships older people have. Gateway Services – improving transport and technology provision to help retain connections and independence in later life. Structural Enablers – create the right structures and conditions in a local environment to reduce those affected by, or at risk of, loneliness. 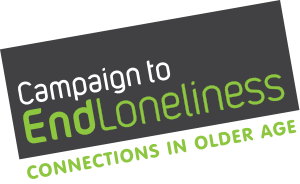 The evidence and case studies used in this section is set out in a report from the Campaign to End Loneliness and Age UK, Promising Approaches to reducing loneliness and isolation in later life. Commissioners and services should note the gaps in evidence outlined that need further development for groups including carers and care users, Black and Minority Ethnic Groups and Lesbian, Gay, Bisexual and Trans older people.